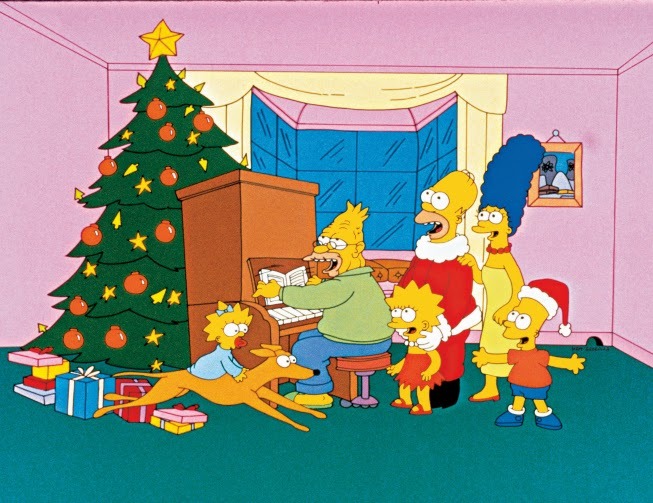 The first episode of the Simpsons, a Christmas themed-episode called "Simpsons Roasting on an Opera Fire, was broadcast 25 years ago tonight. Ove 530 episodes have been produced and aired since. Time magazine's December 31, 1999, issue named it the 20th century's best television series (taken from Wiki). The Simpsons have won 31 Primetime Emmy Awards, more than any other series excpet Saturday Night Live and Frasier.